In our physical environment, what crystallizes historical memory? What represents the collective consciousness of a community or part of it? What sums up a period – or even just a moment – in our shared experience, past or present? And who are “we,” anyway? If you’re like many Vancouverites, you may have heard of the City’s recent efforts to find ways of protecting its historic housing stock under the Character Home Zoning Review. (“Character houses” under the City’s definition are pre-1940 residential properties with authentic period features remaining.) What you may not realize is that the focus on character houses is just one piece of a much more comprehensive pie called the Heritage Action Plan. The plan is geared toward revising the existing Heritage Conservation Program, which hasn’t been comprehensively updated since its creation in 1986. Amid all the bitter debate surrounding the preservation versus demolition of character houses, there’s a really important component of the heritage plan that has made way less noise among residents but that in fact has the potential to affect our city in ways that are equally significant. It’s a sweeping update to the approach for deciding what gets listed in the Vancouver Heritage Register. In its current form, the register contains some 2,200 buildings and structures, streetscapes, landscape assets (such as parks and trees) and archaeological sites. Widening broadly the scope of what we consider as heritage, the new framework will open up the register to a much greater variety of assets. In doing so, it will also offer great potential for informing future planning. On March 23, I attended a panel presentation hosted by Heritage Vancouver called “The future of heritage in Vancouver: What the new thematic framework means for our city,” one of the events in the Shaping Vancouver 2017 series. The focus of the presentation was to review and discuss the register’s new framework in a public forum. Finding definitions of heritage that we can agree upon is no easy task. Deciding which built assets should be enshrined in memory, taking account of voices beyond just those of people in power and developing incentives to support conservation while respecting owners’ equity: such issues have all been argued over, often acrimoniously, in a city where pressures of growth and skyrocketing real-estate values frequently point the way toward demolition, redevelopment and cultural erasure. It’s not just about saving individual residential properties. From the destruction of Hogan’s Alley during the creation of the Georgia Viaduct to Chinatown’s threatened status today, we know that the implications extend way beyond the private into the public realm. The way we document what matters to us holds implications for streets, neighbourhood scale and character, property use and more. These issues extend also to cultural space, which is often under private ownership yet with public function and value. 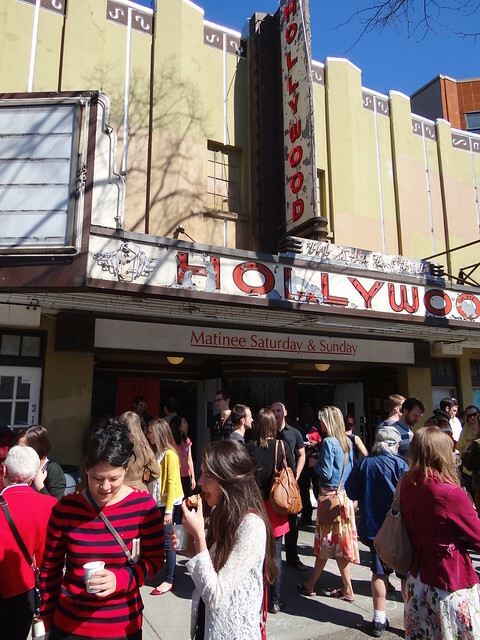 Think of our theatres: the Pantages and the Ridge Theatre and bowling alley, victims of the wrecking ball; the Centre in Vancouver for Performing Arts, its use effectively lost to church buyout; Kitsilano’s Hollywood, its status still indeterminate. Once lost, such assets can never be recovered. As principal consultant for the Heritage Action Plan, Don Luxton delivered the panel’s keynote, a high-level summary of the most important points of the new framework. Also on the panel were Helen Cain, planner, City of Richmond; Joanne Proft, manager, community planning, UBC; Britney Quail, planning analyst, City of New Westminster; and Tanis Knowles Yarnell, planner, Heritage Action Plan implementation, City of Vancouver. Javier Campos moderated, as president of Heritage Vancouver. The most significant way in which the new framework departs from traditional conceptions of heritage is that it gets away from narrowly architectural definitions and moves toward a more holistic view that takes into account a much greater variety of themes that could make assets worthy of conservation or remembrance. In articulating such themes, the working group reports having compiled approximately 3,000 pages listing categories along many different dimensions for recognizing historical significance. Ethnocultural communities; social and reform movements; activities such as sports and arts; types of places, including overlooked ones like corner stores, gravesites and brothels; individual persons whose lives were historically significant but whose houses aren’t on the register: these and numerous other themes are included. Speaking as heritage planner for the City, Tanis Knowles Yarnell commented that the new framework would make it easier to ascribe history and identify gaps. Currently, according to the panel, about half the register consists of Edwardian houses, with many old churches as well. The new framework will help draw attention to whole categories of assets that aren’t yet on it. Such an approach, according to Yarnell, will give an informational basis for a variety of City programs, from zoning and community plans to arts and culture grants, street naming and more. Once the new framework is ready, the City will launch a process for engaging the public. Without a doubt, the new approach is a highly welcome tool for widening and deepening the pool of assets listed. That said, Vancouver in comparison to other jurisdictions still has a very soft regulatory environment for heritage conservation. Inclusion in the register doesn’t necessarily guarantee that an asset gets retained. The broadened scope for defining heritage will offer opportunities for dialogue as neighbourhoods evolve, but as clearly explained by the City at the panel, it still won’t mean that everything is kept. It’s worth underscoring that just this week, an obituary and wake were dedicated to a 1914 heritage-listed Craftsman-style house on 12th Avenue in West Point Grey. Not everything can be kept. As Yarnell pointed out, some things are already gone. Beyond keeping buildings, plaques can capture “intangibles” (to use Yarnell’s word) by telling stories. Cultural planning, events and urban design can go beyond the heritage silo to make use of the information in the register. Some on the panel even expressed a preference for getting away from the “heritage” moniker altogether and moving toward a cultural or placemaking conception of this work. Indeed, the revised framework will be helpful in identifying the context that can give character its placemaking power. For example, the City is reportedly looking for a way to revive the culture of the corner store with a house in the back. Thus the intention of the new register isn’t to halt change; it’s to offer tools that will enable discussion of what we care about and how we wish to see it represented. And that, perhaps, is the cautionary take-home. No matter how comprehensive a list may be, it’s still only that: a list. Any list will just sit there if we don’t take it down off the shelf and act on it. All of us who care to conserve the city’s built environment will need to continue speaking up as heritage is debated, asset by asset, neighbourhood by neighbourhood. On May 11, Heritage Vancouver hosts its second panel conversation in the series: “Undefined heritage: Diversity, inclusivity and understanding.” It’s free and open to the public, with registration.